Langtang Gosaikunda trek combines the remote and spectacular valley of Langtang, with the high mountain lakes at Gosainkund. Visit the beautiful Langtang National park and then trek to the end of the valley to view the wonderful mountains views. Following the Trisuli River north out of Kathmandu, we travel through Trisuli Bazaar and Dhunche to Syabrubensi, a Sherpa village located at the very edge of the Langtang National Park. 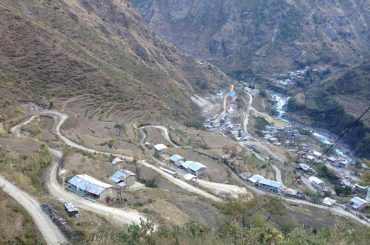 We then swing east into the Langtang valley, crossing the river several times as we travel up along a gorge-like, lower section of the valley. We pass through oak and rhododendron forests and even cross glacial moraine on our way to the Tamang village of Langtang.